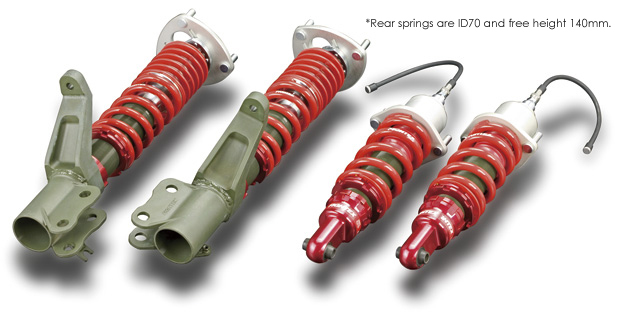 *Rear springs ID:70. Rear dampers have no adjustable bracket for ride height control. Damper KIT contents: Damper, main spring, front helper spring, pillow-ball upper mount, spring upper seat, spring lower seat, lock seat, dust boot (rear), car height adjustment wrench, damping force adjustment wrench, instruction manual.